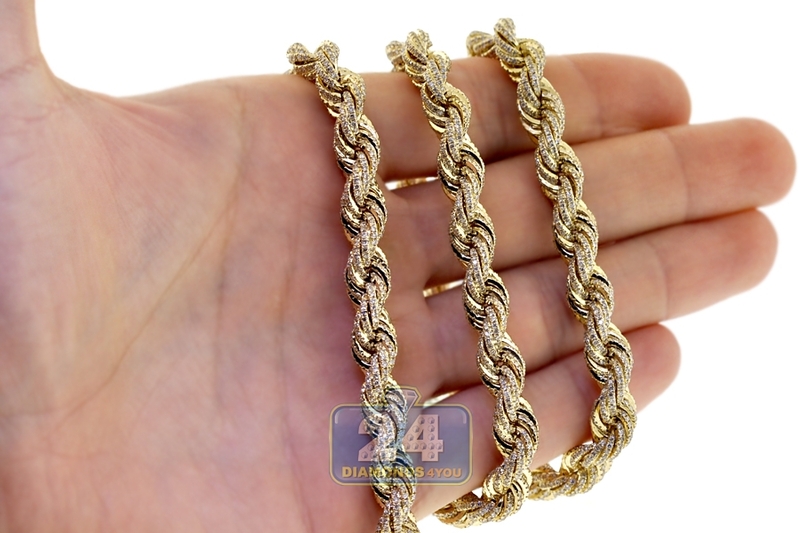 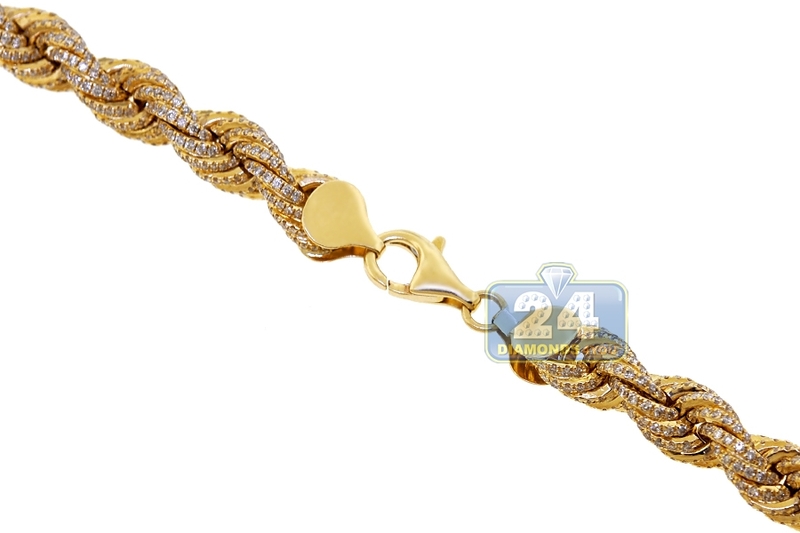 Mens Diamond Rope Chain Solid 14K Yellow Gold 26.50ct 8mm 28"
Prepare to be admired when you arrive at the next special occasion wearing our luxurious diamond rope necklace! Artfully handmade of solid 14k yellow gold, it's precisely polished for shiny smooth look. 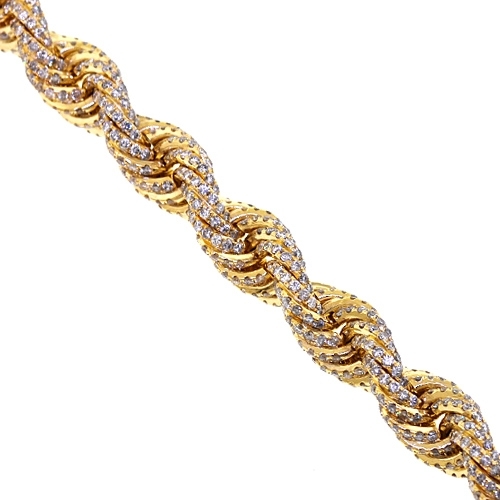 The rope chain is iced out with 26.50 carats of icy white round brilliant-cut genuine diamonds, SI1-SI2 clarity and G-H color. 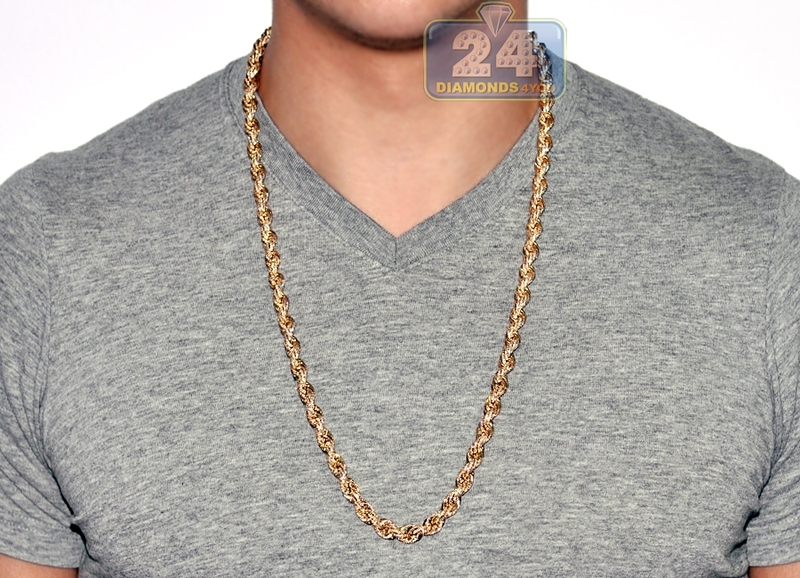 Our men's diamond chain measures 28 inches in length, 8 mm in width and approximately 115 grams in weight. 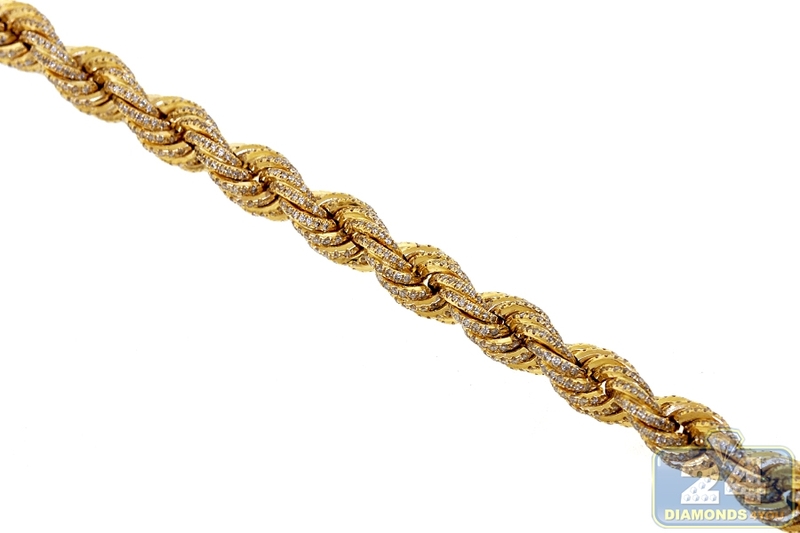 It is also secured with the safest lobster claw clasp. 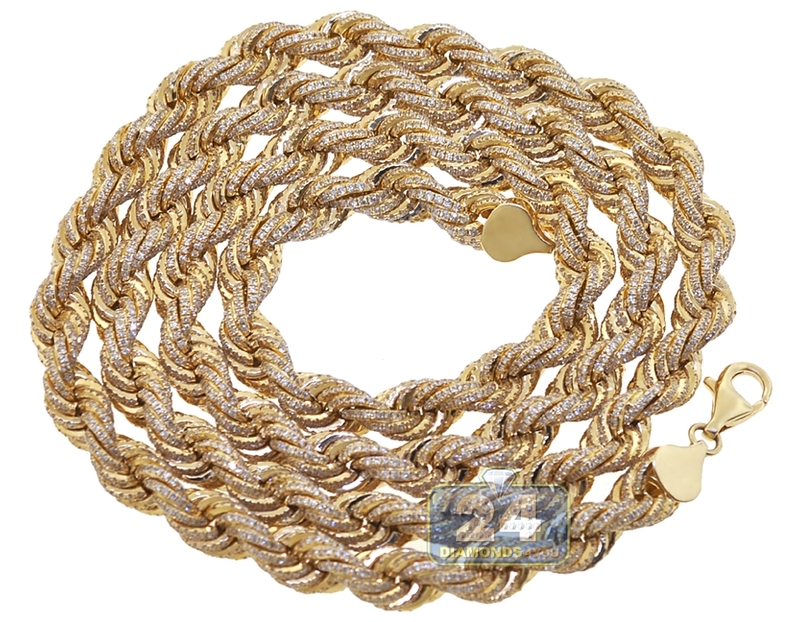 Are you ready to sparkle like a star with this diamond rope necklace? !